The trilateral agreement between India, Iran and Afghanistan on the strategic Chabahar port is “not finished” and Pakistan and China are welcome to join it, a media report today quoted Iranian envoy here as saying. 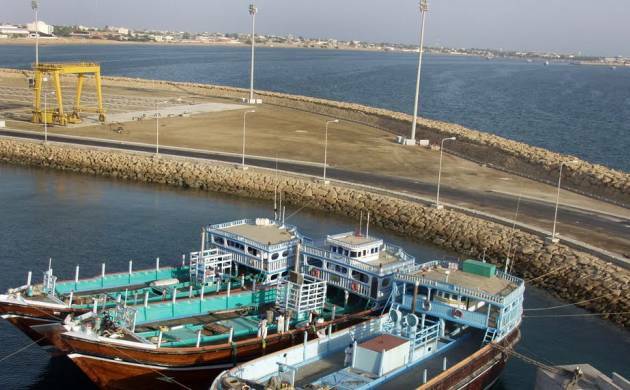 The Chabahar port agreement between Iran, India and Afghanistan is “not finished” and “not limited to these three countries”, Iranian Ambassador to Pakistan Mehdi Honerdoost said. The offer to cooperate had first been extended to Pakistan and then China, implying neither had expressed interest, he said while speaking on Pakistan-Iran relations at the Institute of Strategic Studies in Islamabad (ISSI), Dawn newspaper reported. The envoy said that both are sister ports, and Chabahar port authorities would extend cooperation to Gwadar. “The deal is not finished. We are waiting for new members. Pakistan, our brotherly neighbours and China, a great partner of the Iranians and a good friend of Pakistan, are both welcome. India was a good friend during the sanctions, the only country to import oil from us during sanctions,” Honerdoost said. The deal is still on the table for both Pakistan and China, assuring that “Chabahar is not a rival to Gwadar”, Ahmed Saffee, a research fellow at the ISSI, quoted the Iranian envoy as saying. On Monday, a “milestone” pact on the strategic Chabahar port in southern Iran which will give India access to Afghanistan and Europe bypassing Pakistan was signed by India and Iran.